Small, pale mulberry flowers over attractive tinted leaves with an aniseed scent. 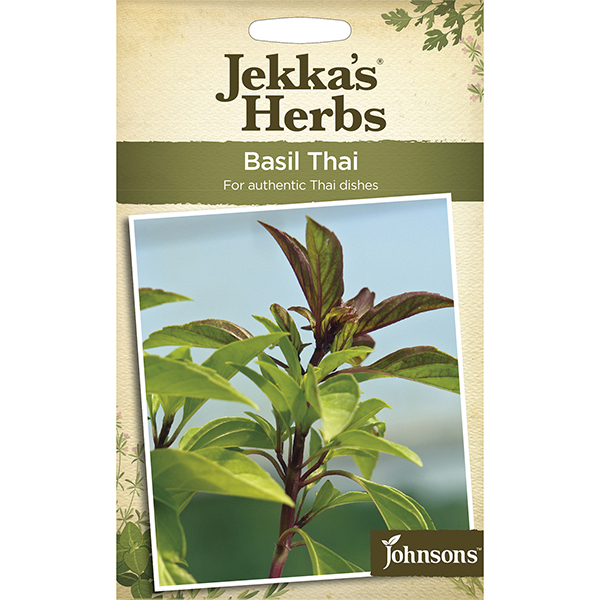 Essential in Thai cooking. 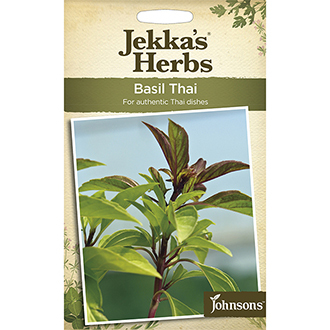 From the Jekka's Herbs range.